Babe I’m Gonna Leave You/Satan Your Kingdome Must Come Down/Tin Pan Valley/ /Spoonful/Black Dog/Another Tribe/Going to California/The Enchanter/ Four Sticks/Friends/ Fixin to Die/ What is And What Should Never Be/ Whole Lotta Love (including Who Do You Love). Encores – Big Log, Rock And Roll. 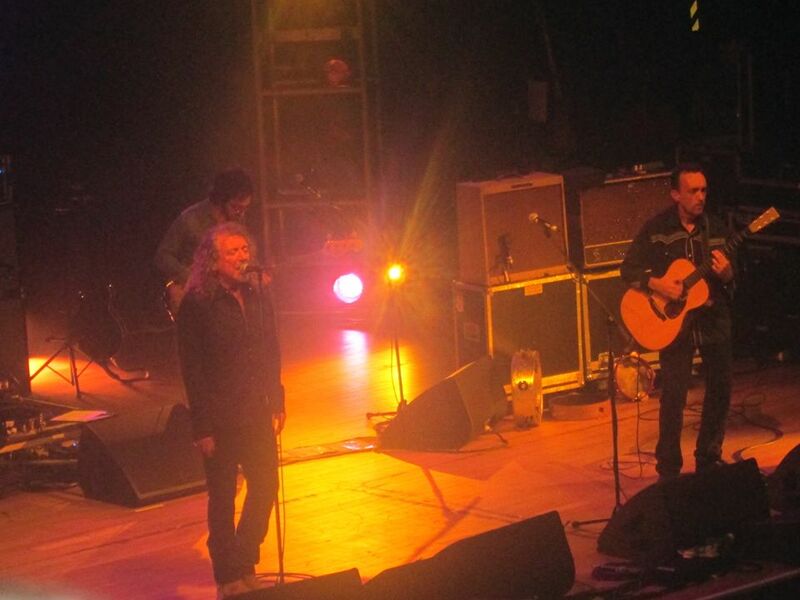 Another consummate performance by Robert Plant and the Sensational Space Shifters in Wolverhampton – easily on a par with the Bristol show –same set list, humorous Plant banter throughout and home loving crowd reaction. With 57 fast approaching, I decided to give the knees a rest and take up a seated position in the balcony with long time TBL man Pete Gozzard. A very good view of the action as can be seen by the pics I took. Robert was quick to note the familiar surroundings commenting that he was back in the ‘’home of the heart’’. Again for me it was the self penned solo material that really cooked. Tin Pan Valley crunching into action , Another Tribe formulating into a glorious groove and The Enchanter hitting a delightful jazzy tempo. 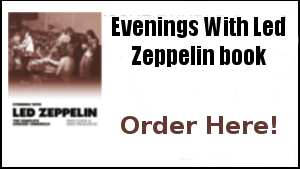 I am sure I am not the only one who would take the loss of a couple of Zep numbers in place of solo performances such as Like I’ve Never Been Gone or Come Into My Life. At this point I need to acknowledge the excellent contributions of John Baggott on keyboards, Billy Fuller on bass and David Smith on drums. Fixin’ To Die had some explosive guitar histrionics from Justin – a sort of Who meets Gene Vincent Bluecaps arrangement , What Is And What Should Never Be was sweet on Led Zep 2 nostalgia and Whole Lotta Love into Who Do You Love (”Grandaddy got to get it too”)proved an irresistible combination. ‘’One upon a time we had a record on the radio’’ was Robert’s intro to Big Log and he went on to explain how the band had checked out the Memphis Studios where Al Green had recorded for inspiration for this new updated arrangement. Sure enough that soulful feel dominated a perfect delivery of the 1983 number 11 hit that as Plant observed, ‘’still gets played on Steve Wright in the afternoon’’. I’d welcome a seven inch pressing of this gem coupled with Tin Pan Valley representing both sides of the Space Shifters sound as a record store day exclusive. Rock And Roll was the suitable buoyant ending with Juldeh to the fore, prior to which Robert made reference to his new management company Yam Yam -the name of which is derived from the unique Black Country dialect (something that he further explained to me after the show). 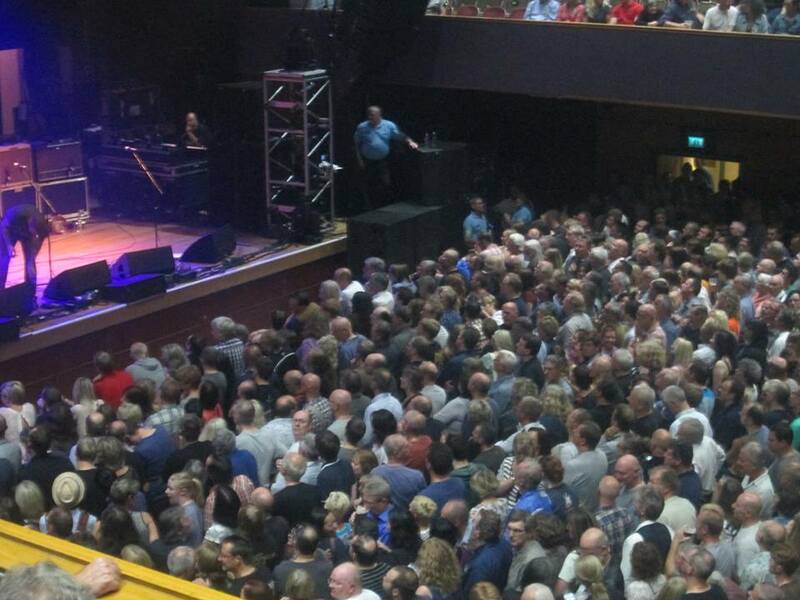 It was a mighty Black Country roar that resounded around the Civic Hall of Wolverhampton as Robert and the Sensational Space Shifters took the final bow of a tour that has taken in five continents (or incontinence as Plant also quipped). ‘’Next week Unit 4 plus 2’’ a reference to the type of band’s he supported in this vicinity back in his youth was Robert’s wry final comment. …and that is enough presenting of the Sensational Space Shifters for a while. Summary: Back in July of last year, I noted that this latest Plant incarnation was something of an interim project and not anything long term. 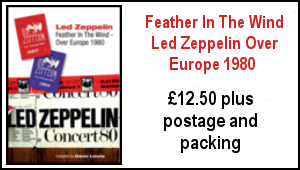 I was entirely wrong as over the past few months, this unit of very fine musicians has moulded into one of the most enjoyable outlets from which to present the unique vocal talents of the front man we know so well. The good news is – there’s more to come with Manchester and London dates in late October and one has to hope that ahead there will be studio time that will lead to an SSS album. 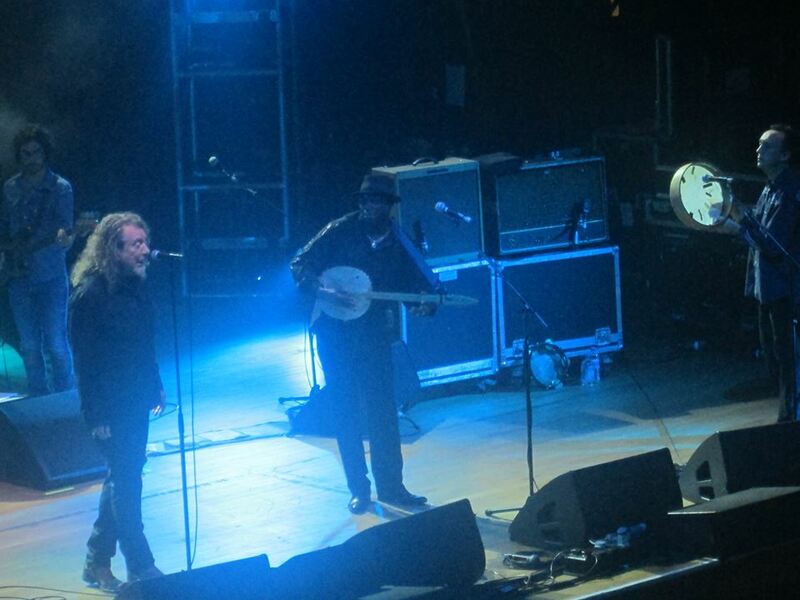 These Bristol and Wolverhampton dates I and many others have enjoyed, have been a thrilling experience – and ample evidence of the sheer joy Robert Plant is garnering from this latest venture. 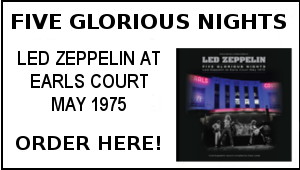 Once again it was an absolute pleasure to connect with so many likeminded fans at the Wolverhampton gig including Paul Humbley with his stories of Robert and Jimmy at Stourport in 1985, Hiroshi a massive fan of Family who kindly gave me a very nice Zep Japanese mag/book, Paul Aspey, Richard Grubb, The TBL MK gang of course, Paul Harrison, Paul Harper, Dawn Atherton, Billy and Alison, Anne , Lee and Jezz from the Black Country , Steve who was on that TFI Page Plant interview , Trev, John West, Elma England who reminded me she offered to help with photocopying of TBL issue 1, John Godson and a fair few more. Thanks for all the great laughs and banter. The best laid plans…following last night’s superb gig the plan was for Cliff to drive me and Tom back to his place and then for us to get the bus back to Bedford from there. Alas…to our surprise and slight dismay, the multi-story car park across from the Civic where we parked was closed by the time we were set to go…so we had to hastily book into the Premier Inn Gary Foy was at and then drive back when the car park opened at 7am this morning! Oh how we laughed! All worth it of course (I think!)…. 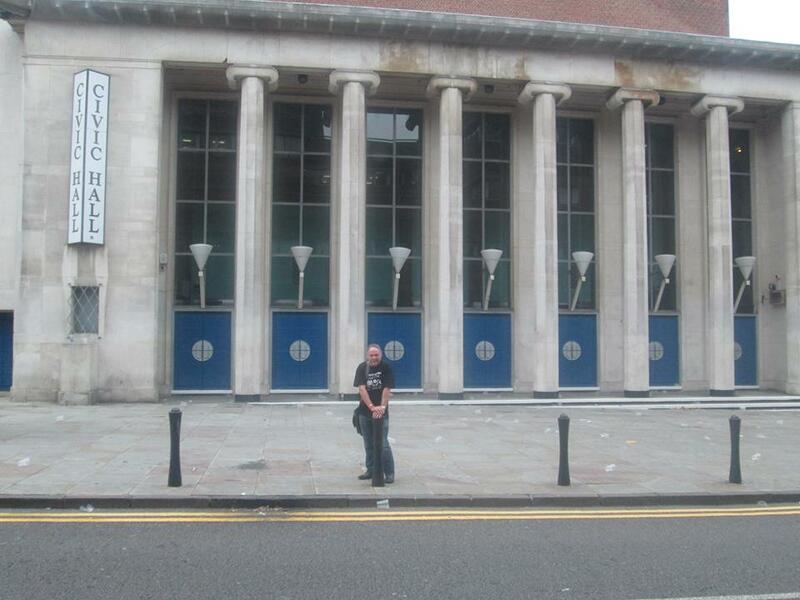 Big thanks to Gary for his help and Cliff the esteemed ticket man for getting us back very swiftly in the face of minor adversity ….. here’s the lonely TBL editor outside the Civic Hall Wolverhampton very early this morning…another one for the memoirs…. Dave Lewis/Gary Foy – September 3rd , 2013. This rendition of Big Log continues to inspire. Simply incandescent. Plant has actually managed to make one of the most laid back numbers even more relaxed and appealing. Sublime. I’m on board with the idea of a limited pressing. What a gem. Glad you all enjoyed the concerts. I and my friend went to the one in Brooklyn in July and it was spellbinding. We stood for the whole concert and commented that we could have stood for five more hours because there was so much energy pouring out between the band and the audience. Robert was like a thirty year old man up there; he has so much energy , enthusiasm and wit onstage and boy, can he still soar on those vocals! So glad you all got to see what we all saw over here in the States. I think this man is the most mesmerizing performer out there and has been for quite a while. What a pleasure to watch such a talented performer who gives everything to his audience! Dave , Awesome show !!!! Roll on manchester . 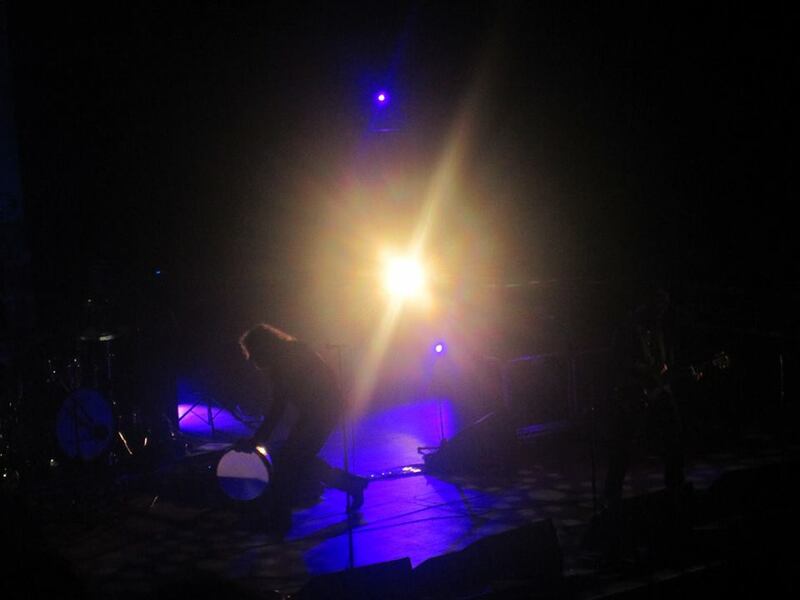 This is the first occasion I caught the man live in more than seventeen years, since Page/Plant’s 1996 Japanese tour. And, by coincidence or not, the overall impression of the Sensational Space Shifters’ performance was a musical evolution and expansion of the No Quarter/Unleaded show, with Juldeh Camara, who did an outstanding job, taking the one man role from the Egyptian orchestra. The effect was not necessarily shattering, but it grew on me afterwords, the later, the stronger. Honestly speaking, I’ve never been a great fan of Robert’s solo career (and, for that matter, any of the post-Zeppelin activities by the remaining members). But, after seeing the show, it’s now understandable that Robert’s dismissal of reuniting the group is grounded on his strong self-confidence, a belief. He just follows his inner voice. The music presented was that convincing. 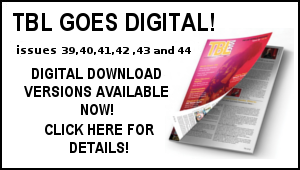 The gig aside…it was so good to see Dave in person, at long last, after almost twenty years of subscribing to the TBL magazine, among other people, notably Gary, Tom, Michaela to name a few. A way of life indeed…even for this not so dedicated fan! Two excellent shows Dave such a move forward from the two shows we saw last year. The band were so tight and full of fun and energy which was there for all to see. So many friends meeting up in both Bristol and Wolverhampton a great Plant community in it’s own way. I’m now looking forward now to the Manchester and London shows in late October. One hell of a long weekend across the country. 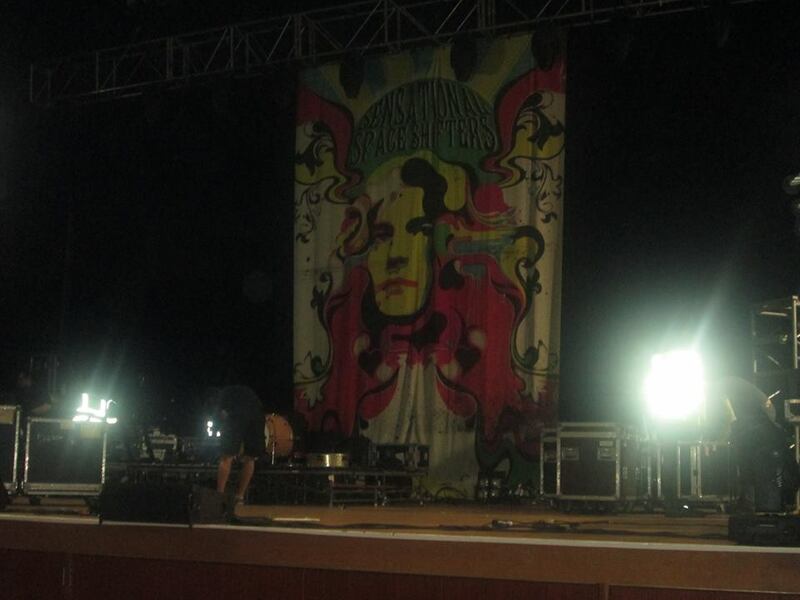 Just a pity there weren’t a few more shows to see but we just get greedy in our mutual old age. So glad I made the effort to travel up to the CIvic. The last time I saw Plant was at the Forum revue type gig, that so disappointed me at the time. But, a last minute decision to grab a ticket yesterday was rewarded by a blistering set with Robert on great form. I agree with you Dave, i’d forego four sticks for another treat from Robert’s own back cat. But I really loved what he did with Black DOg, in respect that I am sure it puzzled some of the audience and really show what I think he means with the band name space shifters. Also agree that Fixin to die, was fanastic rockabilly thang that really surprised. Big Log, sat at odds with a lot of the material on the set list, but was probably all the more riveting for this contrast. Completely restored my faith!